In 1978, Representative Nass graduated with a bachelor’s degree in Political Science from the University of Wisconsin-Whitewater. He then went on to earn his master’s degree in School Business Management, also from UW-Whitewater. Representative Nass’ public life began when he was elected to the Whitewater City Council in 1977 and served as Council President from 1978-81. In addition, Representative Nass was a member of the UW-Whitewater Board of Visitors from 1979 to 1989 and was a member of the Wisconsin Air National Guard from 1972 until his retirement in September 2005. Representative Nass served two voluntary tours of duty in Saudi Arabia in November and December of 1990. Prior to Christmas of that year, Nass’ unit (128th Air Refueling Unit in Milwaukee) was activated and on December 28, Nass was deployed to Egypt in support of Operation Desert Shield and later Operation Desert Storm. Nass has also served in numerous operations relating to the enforcement of the no-fly zones over the countries of Iraq and Bosnia. Nass retired from the Air National Guard in December of 2005, after 33 years of service to the United States. At his retirement, he held the rank of Chief Master Sergeant. Representative Nass is a member of the Whitewater Veterans of Foreign Wars and American Legion. 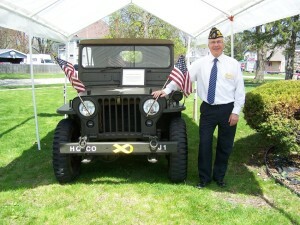 He presently serves as the Whitewater American Legion Post Commander. Before his election to the State Assembly on November 7, 1990, Representative Nass was employed as an information analyst and negotiator with the Wisconsin Association of School Boards and later as a payroll benefits analyst for the state Department of Health and Family Services. Nass was also employed by Sentry Foods for seven years. Nass currently owns and manages a small rental housing business with several properties in Whitewater, Wisconsin. Representative Nass is a member of the following Assembly committees this session (2013-2014): Committee on Colleges and Universities (Chairman); Committee on Education; Committee on Labor; Committee on Housing and Real Estate; Committee on State and Local Finance; and the Committee on Government Operations and State Licenses.